Basement of Ghoulish Decadence: DEVIL STORY (1985) is coming to DVD! Throw some dough on your face and terrorize the French countryside! 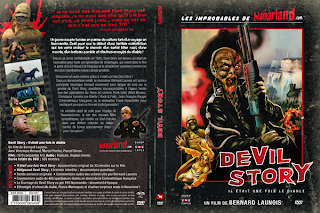 DEVIL STORY (1985) is coming to DVD! Throw some dough on your face and terrorize the French countryside! 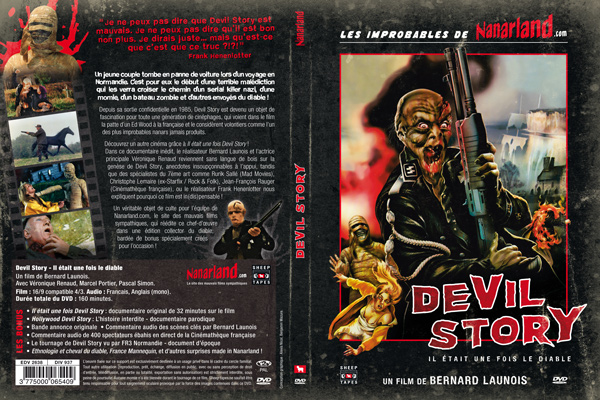 "After a little silence online, Sheep Tapes and Nanarland are pleased to announce that Devil Story, Il était une fois le diable is coming to DVD soon! "Soon" is not very accurate, and unfortunately due to some mishap of a technical nature, we cannot provide a specific release date yet. The DVD should be here by mid-May at the latest! Hoping that the date could be provided by that time. We will keep informed as soon as possible to the date of delivery of the DVD! Pre-orders on the Internet will be open very soon, as soon as the exact release date is determined." Theatrical Trailer, "Ethnology and Horse of the Devil", and other surprises! My advice for this weekend?